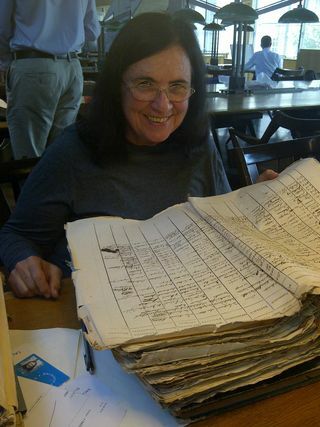 To research my historical novel, I spent months in the National Archives of France, Spain, and Portugal. This giant volume is an address book used during the French Revolution. Each neighborhood had one, and its purpose was to keep track of the citizens who had received identity cards. The Vermillion Sea is based on a true story. I write short stories and novels. If you'd like me to pop into your inbox occasionally, click the Newsletter tab above. When I update my blog or announce a giveaway, you'll hear from me. I also blog about reading and writing fiction. If you're interested in a behind-the-scenes look at the craft of writing, please click here: www.MaryleeMacDonaldAuthor.com. Before a book ever comes out, a lot of work goes on behind the scenes. The last two months before the book goes on sale are particularly crazy. Each sentence must shine. Every typo must be hunted down. All this hard work eventually pays off. My short story collection, Bonds of Love & Blood, won a Silver Medal from the Readers' Favorites International Book Awards, and it was a Finalist in Foreword Reviews' INDIEFAB awards. Mauritzio Marotta--aka Tatlin--designed the gorgeous cover. His cover design made it to the finals of the "da Vinci Eye" Awards. No surprise. He's Italian! So far, readers seem to be loving the stories. Watch the book preview (at left) to get a sense of what the stories are about. Well, I guess the title of the book actually gives it away, doesn't it? It's pretty much about people trying to connect with other people. Sometimes, they're strangers. Other times they're loved ones. We all seek love, and sometimes we find it in the most unlikely places. One of the biggest challenges for small press authors is finding sites that provide a credible and professional review. One of the best of these is Foreword Reviews. They feature works by university presses, small presses, independent publishers, and indie authors. Kristine Morris wrote this glowing review. Joe Kilgore's comments about the book encouraged me to keep trying. Every story presents a new challenge. I'd love to have you read this book. After the craziness of the book launch for Bonds of Love & Blood, I'm finally getting back to work on a story about a young, French artist who goes to Baja California in 1769. Research for that project has consumed much of my time in the past six years, and I am now fully into the revisions--"re-envisioning along the way." Here's a prototype of the cover. I am just thrilled to have this work-of-art to inspire me. You can learn more about The Vermillion Sea by using the BLOG tab above. Click here if you'd like a closer look at the cover. What's Happening With Montpelier Tomorrow? Montpelier Tomorrow won a Gold Medal for Drama from the Readers' Favorites International Book Awards. It was also a finalist for the Eric Hoffer Prize, the 2015 Next Generation Indie Book Awards, the Faulkner-Wisdom Award, and the Bellwether Prize. This book is definitely not a beach read, but for anyone who has ever been a caregiver, I think it will offer a measure of peace. So often caregivers beat themselves up. There's a kind of mythology about caregiving that makes us feel like we have to be superhuman, even if we're sleep-deprived and going broke. No one can be a caregiver and hold a full time job. Especially not for a man dying of ALS. I talked about the issues behind the book on the Authors' Show Interview. Give it a listen. Then take the Ice Bucket Challenge and read this book. If you click on "Amazon Store," that will take you directly to the webpage where you can order Montpelier Tomorrow. If you own a Nook, all is not lost. Click above to see paperback and Nook editions.